It’s hard to deny the love a pet owner has for their fur-babies. I know exactly how I feel about my four babies! From an endless supply of treats to belly rubs and a basket full of toys, our “fur babies” are spoiled. It’s not always a walk in the park – there’s the shedding, the “picking up” and the trips to the vet. That’s why, it’s time to celebrate National Pet Owner’s Day – a day that honours all of the loving and dedicated pet parents out there. If you’re a loyal and loving pet parent to a Fido or Fluffy, here are a few tips for appreciating all that you do for your pet: 1. Find a product that gets rid of Fido’s footprints and funky smells forever. Even the most loving pet owners will admit that animals bring smells, dust, dirt and a lot of hair into the home. Arm & Hammer™ Plus OxiClean™ Carpet & Room Odour Eliminator – Pet Fresh, will make your job easier and leave pet areas smelling fresh! It helps to release pet odours deep within carpets and loosens pet hairs, helping to lift up to 25 per cent more dirt than vacuuming alone. 2. Give back with a spa day. Fido’s day at the spa is one way to extend the life of your favourite piece of furniture. Make sure the spa visit includes a nail clipping – no more scratching at your brand new sofa. 3. Make #litterboxlife a little easier. There’s nothing worse than having to scrape the litter from the corners. Am I right? Today’s the day to switch to Arm & Hammer™ Clump and Seal™ Slide™ Cat Litter, which has a patented formula with “EZ Clean Technology” that helps stuck on messes slide out easily. Plus it delivers a 7-day odour-free home – guaranteed! No scrubbing, no scraping, no odour – no problem! 4. Let your fur baby have a sleepover. It might be hard to spend time away from your furry friend, but sometimes a night off is needed. Phone a friend who has always offered to pet sit for a weekend and finally take them up on the offer! 5. How about a little one on one time with your fur baby? Record your time together. Take pictures, and lots of them! 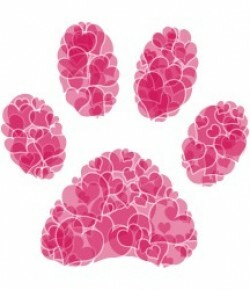 Have you ever celebrated National Pet Owner Day? What did you do with your fur baby to celebrate? Tell me all about it. Seriously, leave me a comment with all the details.